NBA great LeBron James is headed west, and San Diego’s scheduled to get the first preview. It was announced Sunday that James has agreed to a four-year, $153.3 million contract with the Los Angeles Lakers. The announcement was made by his agency, Klutch Sports Group. James joins a host of superstars who’ve donned Lakers jerseys, and congrats were pouring in on social media Sunday. 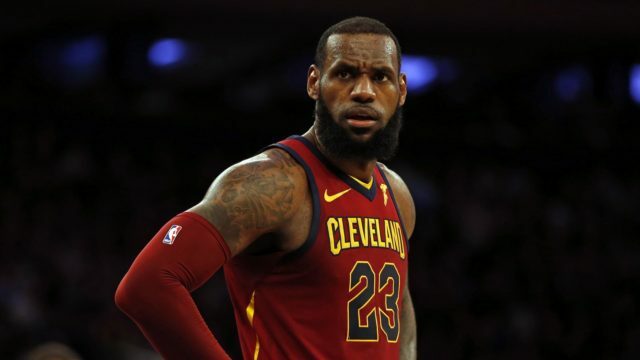 It’s anticipated that the NBA’s most coveted free agent, otherwise known as King James, will play during the Lakers’ first exhibition game for the 2018-19 season in San Diego when L.A. takes on the Denver Nuggets September 30 at Valley View Casino Center. Tickets for the game went on sale May 21, but at press time seats were still available. No word on how long it will take before the game sells out.